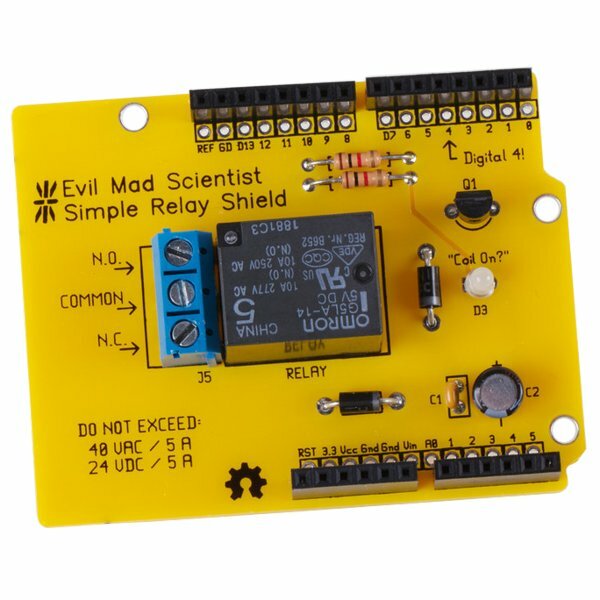 The Evil Mad Science Simple Relay kit is an Arduino Shield that you can build yourself. 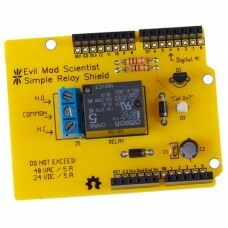 With basic soldering skills, you can easily assemble this cool relay shield for your Arduino. A relay is a mechanical switch that can be controlled by an Arduino digital output pin. 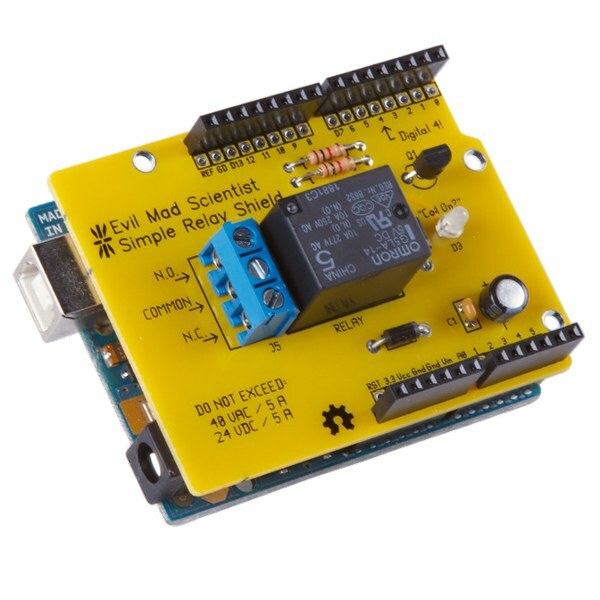 The relay on this board is a SPDT Single Pole Double Throw switch that can handle up to 5A at 24V DC or 40V AC. You'll enjoy building your own Arduino shield.